Part of the Executive Office of the President, the Office of Science and Technology Policy (OSTP) is intended to help the president develop and implement policies related to science and technology. The OSTP works with federal agencies, the private sector, state and local governments, science and higher education communities, and other nations to ensure federal investments contribute to the nation’s prosperity, the quality of the environment, and national security. The office is led by a director who is more commonly known as the President’s Science Advisor, often an academic or leading researcher in an important scientific field. The position of director is currently held by Dr. John P. Holdren. He has stated that he is focusing his efforts both on science for policy and policy for science, as many scientists had criticized the Bush administration for allowing morality- and business-based decision making to trump scientific findings. Prior to the creation of the OSTP, American presidents obtained science advice from various federal scientists and engineers, or informal personal contacts. Beginning in the early 1930s, presidents attempted to expand their sources of science and technology advice through a series of advisory boards and committees. These boards and committees tended to remain for discrete periods of time before being disbanded, often by the next incoming president. President Franklin D. Roosevelt was the first to establish a more permanent scientific advisory body when he created the Office of Scientific Research and Development (OSRD) in 1941. During World War II, when the first atomic bombs were developed, the importance of science and technology developments took on greater urgency. In 1945, a report by OSRD Director Vannevar Bush (Science, the Endless Frontier) proposed a “program for postwar scientific research” that set the stage for the current relationship between the federal government and the science and technology community. In his report, Bush indicated that scientific progress was essential for the war against disease, for national security, and for the public welfare. Following FDR, the next several presidents used a variety of sources to obtain scientific advice within the Executive Office of the President (EOP), enhance interagency coordination, and receive counsel from outside advisors. Organizations within the EOP included the Office of the Special Assistant to the President for Science and Technology (Eisenhower), and Office of Science and Technology (OST; Kennedy, Johnson). Examples of organizations focused on interagency coordination included the President’s Scientific Research Board (Truman), and the Federal Council for Science and Technology (Eisenhower, Kennedy, Johnson). Examples of external advisory committees were the Science Advisory Committee (Truman, Eisenhower), and the President’s Science Advisory Committee (PSAC; Eisenhower, Kennedy, Johnson). During the Nixon administration, the OST in the White House was abolished and relocated within the National Science Foundation. In addition, President Richard Nixon decided to not appoint new members to PSAC after its members resigned. President Gerald Ford supported the return of a science advisory office to the White House, but did so through legislation instead of executive order. Thus, the National Science and Technology Policy, Organization, and Priorities Act of 1976 was adopted, creating the Office of Science and Technology Policy (OSTP) to advise the president and other White House officials on matters of science and technology as they relate to domestic and international affairs. The head of OSTP came to be informally known as the President's Science Advisor. On January 4, 2011, President Barack Obama signed into law the America Competes Reauthorization Act (pdf), which established new responsibilities for the OSTP, the National Issue of Standards and Technology (NIST), the Department of Energy (DOE), and the National Science Foundation (NSF). The Act, which is authorized from FY 2010 to FY 2013, includes requirements that the OSTP establish scientific competitions for non-traditional government contractors and others, with prizes up to $50 million; and make scientific and technical data more accessible to the public via a centralized portal in machine-readable format for bulk download. In response to the latter, the OSTP issued a request to the private sector in April 2011 for recommendations for ensuring long-term public access to unclassified digital research and scientific data; a report to Congress follows. In addition to the Act, Obama laid out additional plans for investment in science, engineering, technology, mathematics education, and alternative fuels, much of which falls to the OSTP as coordinator of scientists and experts in these fields. In June 2011, Obama unveiled two OSTP-related programs: The Materials Genome Initiative for Global Competitiveness (MGI) (pdf), designed to double the speed with which the U.S. discovers, develops, and manufactures new materials; and the Advanced Manufacturing Partnership (AMP), a national effort bringing together industry, universities, and the federal government to invest in emerging technologies. The OSTP is charged with advising the White House, especially the president, on matters of science and technology. 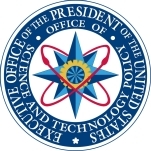 Consisting of a small staff of political and civil service officials, the OSTP helps the administration develop and implement policies and budgets related to science and technology matters, and works with the private sector, state, and local governments, the science and higher education communities, and other nations on science and technology goals. The OSTP director (commonly referred to as the President’s Science Advisor) also manages the National Science and Technology Council, which coordinates science and technology (S&T) policy across the federal government, establishes national goals for federal S&T investments, and prepares coordinated research and development strategies. In addition, the OSTP director co-chairs the President’s Council of Advisors on Science and Technology (PCAST). Science: Under the Obama administration, the President’s Council of Advisors on Science and Technology (PCAST) will be strengthened. Also, funding will be increased for biomedical research and the physical sciences and engineering. Obama plans to make the research-and-development tax credit permanent, and eliminate capital gains taxes on start-up and small businesses, in an effort to encourage scientific and technological breakthroughs. Technology: The OSTP is expected to lead the way in developing policies that connect more Americans to the Internet through broadband, lower healthcare costs by advancing health IT, modernize public safety communications, upgrade education, develop new energy sources, and develop new manufacturing sources. The office will also strive to better protect the country’s cyber networks, help develop the next generation of space travel and assist NASA’s missions in space science, weather, climate research and aeronautical research. To do so, the National Aeronautics and Space Council will be re-established to help in this area. Energy/Environment: This area of the OSTP will focus on addressing climate change, sustainable development and the need to cultivate clean sources of energy. The Obama administration has pledged to invest more than $150 billion over 10 years to establish a national low carbon fuel standard and develop domestic incentives to reward forest owners, farmers and ranchers when they plant trees, restore grasslands, or undertake carbon-capture farming techniques. Other goals include the creation of a Global Energy Forum, ratification of the Law of the Sea Convention, strengthening the National Marine Sanctuaries and the Oceans and Human Health Acts, and protecting the public from nuclear waste. National Security and International Affairs: The OSTP will work to assess risks presented by natural and manmade threats and develop projects to find solutions, such as expanding the federal government’s bioforensics program for tracking the source of biological weapons. The office may also become involved in efforts to renew the Nuclear Non-Proliferation Treaty. According to the OSTP, the bulk of its annual budget goes toward paying for its staff, which includes both political and non-political members. It does not appear to contract out work like other federal offices, according to USAspending. Although the OSTP office does not have an extensive budget, it does provide information about the budget for each office that falls under its control. The following describes the science and technology-related portions of the FY 2013 budgets of various departments. In 2009, President Obama signed the American Recovery and Reinvestment Act and the Omnibus Appropriations Act, which doubled the budget to sustain America as the leader in innovation. The doubling reflects Obama’s goal of allocating 3% of the GDP to research and development. Technology: includes Cybersecurity and Internet Policy, Patent System Modernization, Lab to Market Initiatives, Digital Infrastructure (Wireless, Broadband [$7 billion in targeted investments], Power Grid [$10+ billion in investments]), the Digital Promise program, the Advanced Manufacturing Partnership, and the National Robotics Initiative ($70 million in research funding). In response to John Holdren’s 2011 meeting with Chinese officials, House Republicans threatened to slash the budget of the Office of Science & Technology Policy for the following year. The House Appropriations Committee, acting upon the recommendation of Representative Frank Wolf (R-Virginia), voted to cut the OSTP’s budget by 55%, from $6.65 million to $3 million. Wolf had injected language in the 2012 spending bill that became law, which restricted the OSTP from meeting with officials from China. But Holdren ignored this provision and did so anyway. Saying he had no choice but to host the scheduled meeting, Holdren claimed he was advised by the Department of Justice to ignore the provision written by Wolf, who chaired the appropriations subcommittee responsible for funding OSTP. As far as Republicans were concerned, the OSTP had chosen to disregard the prohibition, demonstrating a lack of respect for the policy and oversight roles of Congress. The Government Accountability Office sided with Wolf and other Republicans, saying Holdren was legally bound to not meet with science and technology minister Wan Gang and other Chinese officials. The GAO also said Holdren violated the 1982 Antideficiency Act, which prohibits the executive branch from spending money that has not been appropriated by Congress (OSTP spent $3,500 for the meetings with the Chinese). The appropriations committee also had instructions for how the OSTP should spend its reduced budget. Instead of addressing a wide array of programs in science, technology, environment, and national security, the office should devote its 2012 appropriations to improving U.S. science and math education, according to GOP lawmakers. In the end, though, Congress modified the congressional ban on cooperation with China, allowing it with certain restrictions if the dealings did not have economic or national security implications. The OSTP raised a few eyebrows in November 2011 with the announcement that there was no evidence of alien life beyond earth and that the government was not covering up any information related to extraterrestrials. The announcement came in response to two petitions submitted to the White House that called for the government to acknowledge that there really was “an extraterrestrial presence engaging the human race” and for Congress to hold hearings on government interactions that had occurred with space aliens. Two months after his inauguration, President Barack Obama delighted government watchdog groups and scientists by promising to develop new scientific integrity guidelines for all federal agencies to follow. The excitement, however, turned to frustration and criticism after the Office of Science and Technology Policy (OSTP) fell behind schedule in crafting the guidelines. Eventually, the OSTP did issue a general set of guidelines in December 2010. But this did not end the controversy. By then, one group, Public Employees for Environmental Responsibility (PEER), had filed a lawsuit to find out why OSTP was experiencing delays. Also, another organization, Climate Science Watch, questioned whether OSTP had been interfered with by another White House operation, the Office of Management and Budget. Even with the December 2010 announcement by the OSTP, the PEER claimed the following year that the majority of federal science-based agencies had not drafted their own integrity policies. Even worse, the White House was allegedly urging agencies “to adopt boilerplate language on key provisions, such as whistleblower protections for scientists, which provide no additional safeguards,” according to PEER. The OSTP responded to the watchdog group, which then complained the vast majority of the pages released were blacked out. PEER said that “all of the meeting notes, progress reports and even congressional testimony were heavily redacted.” PEER demanded OSTP stop hiding the information sought and comply with its request. Although the Senate confirmed the appointment of John Holdren as chief of the OTSP unanimously and with little fanfare, conservatives have attacked Holdren as a radical willing to take draconian measures on population control. Conservatives cite the book he co-authored more than 30 years ago entitled Ecoscience: Population, Resources, Environment, which they say advocates for mass sterilization and abortions for single moms. Referencing the book, Holdren is accused of promoting population control over ethical objections. For example, the use of a sterilant in drinking water is discarded not because of ethical reasons, but rather because of practical and health-related issues. Some have voiced concerns that he believes that science should trump ethics and that this may extend into his policy work within the government. In 2009, PolitiFact.com awarded Glenn Beck second place in its “Lie of the Year” contest for spreading this misrepresentation of Holdren’s views. In March 2009, President Barack Obama reversed the Bush administration’s limits on stem-cell research and voiced his desire to “return science to the scientific realm.” The Bush Administration had barred the National Institute of Health from funding research on embryonic stem cells, beyond the 60 stem cells that existed at the time. Obama also signed a memorandum that directs the Office of Science and Technology Policy “to develop a strategy for restoring scientific integrity to government decision-making.” He also took steps to break with the Bush administration over the Endangered Species Act, which Bush had tried to weaken over time. During the administration of George W. Bush, scientists throughout the country became frustrated over the President’s apparent desire to place issues of morality above those of science. Following Bush’s 2008 State of the Union speech, scientists called for the White House to provide more funding towards important scientific pursuits, instead of ignoring scientific evidence, distorting facts, and censoring reports. Many experts outside the administration believed the Office of Science and Technology Policy suffered from the White House’s effort to politicize scientific issues involving energy policy, oil dependency, and global warming. In defense of President Bush, Kristin Scuderi, director of communications and public affairs at the OSTP, said thousands of scientists routinely conducted their business without controversy or complaint. Others remarked that a decline in U.S. science leadership predated Bush, but had worsened under him. When President Barack Obama nominated John P. Holdren to be director of the Office of Science and Technology Policy (OSTP), conservatives launched a major attack against him, claiming that Holdren had once advocated forced abortions. The source of this accusation was a chapter in a 1977 book he co-authored with Paul and Anne Ehrlich. In fact, although the subject of forced abortions is discussed in the text, Holdren never advocated them. They then claimed that he was a climate change alarmist. In the end, Holdren was unanimously confirmed by the Senate on March 20, 2009. He also serves as the Assistant to the President for Science and Technology and co-chair of the President’s Council of Advisors on Science and Technology (PCAST). Holdren was born March 1, 1944, in Sewickley, Pennsylvania, and grew up in San Mateo, California. He earned his bachelor’s degree in aerospace engineering from MIT in 1965, an MIT master’s degree in 1966, and his PhD in theoretical plasma physics from Stanford in 1970. While still a student, Holdren worked as an aerospace engineer at the Lockheed Missiles and Space Company. He then joined the Lawrence Livermore National Laboratory as a theoretical physicist in the fusion energy program, and, briefly, he was a Senior Research Fellow in the Environmental Quality Laboratory and the Division of Humanities and Social Sciences at Caltech. In 1973 he co-founded, and then co-directed until 1996, an interdisciplinary graduate program at the University of California, Berkeley (the Energy and Resources Group) that focuses on the interaction of scientific, technological, economic, and sociopolitical dimensions of energy and environmental challenges. 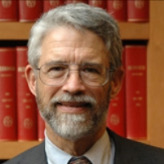 Holdren then moved to Harvard’s Kennedy School of Government to become the Teresa and John Heinz Professor of Environmental Policy and director of the Program on Science, Technology, and Public Policy. He served concurrently as Professor of Environmental Science and Policy in Harvard’s Department of Earth and Planetary Sciences and, beginning in 1996, as president and director of the independent, nonprofit Woods Hole Research Center. Holdren has served since the early 1970s on a wide variety of advisory panels to government on science and technology matters, including the Committee on International Security and Arms Control of the National Academy of Sciences, which he chaired from 1994 to 2004. Through both terms of the Clinton administration, he served as a member of PCAST, working closely with OSTP and chairing studies requested by President Bill Clinton and Vice President Al Gore on preventing theft of nuclear materials, the prospects for fusion energy, an R&D strategy for the energy challenges of the 21st century, and international cooperation on energy technology innovation. From 1987 to 1997 he served as chair of the Executive Committee of the Pugwash Conferences on Science and World Affairs, and in that capacity gave the acceptance speech for the Nobel Peace Prize awarded to the Pugwash Conferences in 1995. Holdren was also a recipient, in 1981, of one of the inaugural MacArthur Foundation Prize Fellowships. He subsequently served, from 1991 to 2005, as a member of the MacArthur Foundation’s board of trustees. From its founding in 2002 until he joined the Obama administration, Holdren was co-chair of the National Commission on Energy Policy, a project of the Bipartisan Policy Center. In this position he helped create some of the provisions that were included in the 2005 Clean Energy Act, including those that offered financial incentives to produce “clean coal” and changes in the tax code to reward private sector energy research and development. From 2005 to 2008, he served as president and chairman of the board of the American Association for the Advancement of Science. He was also a member of the Council of Advisors of the Civilian Research and Development Foundation (2001-2009); a member of the Board of Councilors of the China-U.S. Center for Sustainable Development (2002-2009); a member of the Board of Advisors of the Princeton Carbon Mitigation Initiative (2004-2007); and a member of the Board of Directors of Climate Central (2008-2009). Holdren and his biologist wife, Cheryl, married in 1966 and have two children and five grandchildren.